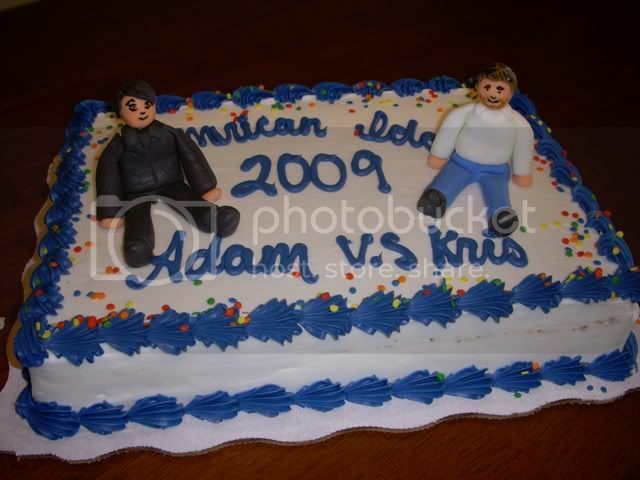 I wanted to do something special for the American Idol finale, so I made little fondant figures of Adam Lambert and Kris Allen to top a cake I ordered from the grocery store (my homemade cakes never taste nearly as good as store bought). This is the first time I've made fondant figures so they don't look much like the actual people but they were fun to make! This is so cute! Did you make this cake for your family or did you have a party?